CoMA Voices is based in London. We meet for specific performance projects and workshops. We are open to all singers with no auditions and previous experience of contemporary music is not needed. We work mainly, though not exclusively, from music, some of which is unconventionally notated. 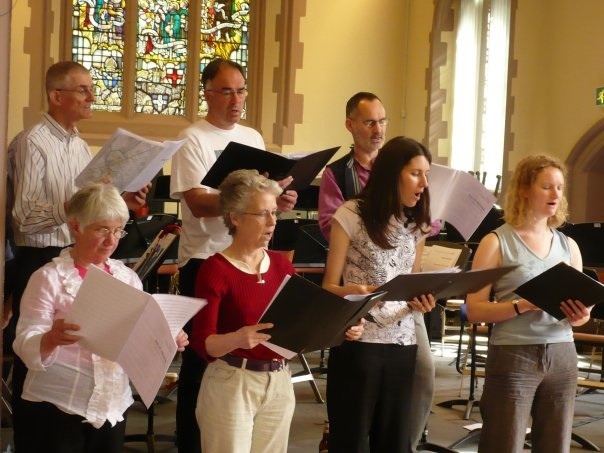 Most of our work is a capella and the focus is on ensemble singing. One objective is to expand the contemporary amateur vocal repertoire by working with composers and students, commissioning works and showcasing material for use by others. In March 2017 we ran Singing Adventures, a full weekend of contemporary vocal music workshops. Our Musical Director is Sarah Leonard, a soprano and teacher well known for her interpretation of contemporary vocal music. CoMA Voices is currently organised on a project by project basis and details will be advertised on this site or you can sign up for our monthly newsletter. Our next project is a workshop exploring pieces by student composers from Trinity Laban Conservatoire of Music and Dance on 3 February 2019. Co-ordinator: Mick Kahn 020 7249 5139, voices@coma.org or use the form below.